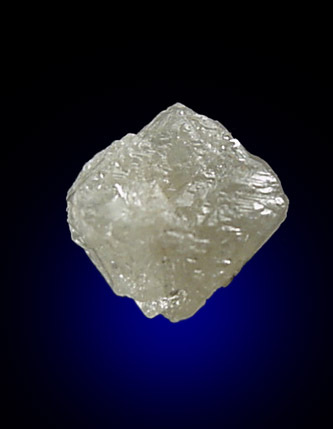 Irregular crystal of natural diamond. The crystal faces have complex growth structures on the surface and is very lustrous. The color is nearly colorless. (This is a good crystal to have in your hardness test kit!) Overall size of mineral specimen: 6x6x4 mm. Size of individual crystals: 6 mm.